The Tidy Towns Competition movement in Ireland celebrated its 50th anniversary in 2008 and the initiative has united and improved communities around Ireland. Every year people of all ages and backgrounds come together to clean up their local area. Then, a panel of judges award prizes in numerous categories to outstanding towns and villages. In recent years the competition has shifted emphasis to include recycling and sustainability initiatives. From its humble beginnings Tidy Towns has grown into an initiative of national and global significance and we are happy to record Myshall’s role in that movement down through the years. According to the Dept of the Environment Myshall has been entering the National Tidy Towns competition since 1962 giving it a 46 year involvement in the movement. There is documentary evidence in National Muintir Na Tíre records that Myshall was entered in a Tidy Towns competition in 1963 for the first time and that it tied with Silvermines in Co. Tipperary. This competition must have been confined to Muintir Na Tíre as Myshall was not mentioned as a winner in the 50th anniversary booklet that was brought out in 2008 to celebrate the National Golden Jubilee but it does prove Myshall has had a long association with Tidy Towns. Initially the competition was organised by Bord Fáilte and during the early years winners were often treated to free weekends and big spreads were provided for representatives of any prize winning centre. In 1964 Myshall village gained 81% in the competition and won a prize but by 1969 that percentage had fallen to only 65%. Thanks to Fr. Hayden and his dedication to records in the weekly Newsletters and ‘Tangents’ and to Tidy Towns Committees over the years we have a very good record of our results from 1970 which we have laid out in the following table. From the above it can be seen that there was in general an improvement most years. In the 1970’s the emphasis was mostly on litter elimination and tidiness. The Group won £25 in 1972 having gained 25 marks, it was considered the most improved town in the South East and a representative from Bord Fáilte a Mr. Pat Nolan, presented Fr. Hayden with a cheque at a function in the Community Centre. In 1974 the Hall was burned and the resulting rubble etc. did nothing to improve the appearance of the village. In 1975 the report mentioned a big improvement and highly commended the new Garda Station, business premises and said there were some great individual efforts and by 1976 the improvement was such that Myshall was announced the ‘tidiest town in Co. Carlow’. The intervention of the Youth Club was seen as most influential in 1976 as the members had put in a huge effort in painting gates, clearing away rubbish and branches and the club had donated a large amount of the profit from a Sponsored Walk to the Tidy Towns initiative. The village won the award for being the tidiest village in Co. Carlow each year from 1976 to 1986 and in 1980 it was only four marks behind the National Winner. The emphasis at this time was also on litter and there was very little litter to be seen in the street during these years thanks to a concerted effort not only on the part of the committee but also on the part of the public at large and particularly on the part of the children in the school. Fr. Roche was involved at this time as well as Fr. Hayden and they constantly reminded people of the need to keep the area litter free and rewarded youth for its involvement. Meetings were held regularly and the committee at this time were very dedicated people who did their utmost to improve the village and also travelled to various other villages that were well placed in the National competition looking for new ideas on planting, re-structuring etc. Margaret Ryder had a 99% attendance at Tidy Towns meetings and was treasurer for a number of years when an amount of fundraising took place e.g. many committee members at that time have memories of cabarets etc. organised in aid of the Tidy Towns initiative. The approach roads and verges did come in for some criticism and reports frequently included the comment ‘the odd gate needs painting.’ Recommendations included work on the old graveyard, stone walls instead of timber fencing and more tree and flower planting. In 1987, despite an increase of one mark the village lost its Co. Tidy Towns crown, small items were noted e.g. the 30 m.p.h. sign was missing and the Community Centre had not been painted in time. The year 1988 was a good year in that Tobar Bhríde was judged the best garden in Ireland and members of the committee were invited to a prize-giving ceremony in Carlingford, Co. Louth on the 23rd of October. This was a great achievement and made up somewhat for not regaining the Co. title lost the year before. The report for 1991 was somewhat disheartening – ‘the village could have looked tidier and needed to be swept free of hay’ and painting of boundary walls – school, church, pump etc. was required. St. Oliver’s Park was praised but the village was falling behind other neighbouring areas in the Co. title table which resulted in an all-time low in 1997 when it was placed 7th in Co. Carlow despite the fact that through the ‘90’s improvements were made each year. 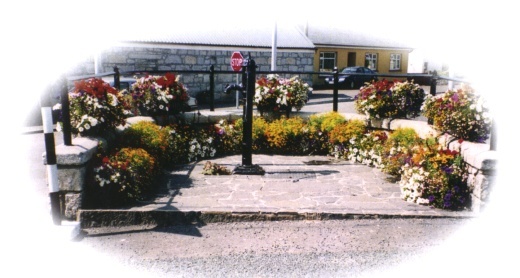 The Grand Gates were repaired and painted in the bright Naomh Eoin colours in 1992; a new water wheel was presented to the Tidy Towns committee in 1993 by Mr. Pat Kavanagh, Raheenleigh and the pump got a major facelift in 1997. The recommendations at this time included the elimination of neon signs, stone facing on the wall to be completed on the Croppy Road and beech and hawthorn planting. The Millennium report mentioned Myshall’s potential and the development of the Millennium Park was mentioned as having enhanced the village enormously and throughout the noughties to date the emphasis has moved to the creation of nature and wildlife amenities and Tobar Bhríde and the Millennium Park are featuring favourably in this category. In 2006 a new category was added ‘Waste Minimisation’ and the village has not scored well in this category over the last few years as recycling has become popular but difficult to control and so litter tends to be dumped in the area of the recycling centre. The school has received much praise in recent years with the acquisition of the Green Flag and its successful entry in the Carlow Floral Pride competition. A new ‘Myshall Improvement Group’ was formed in 2002 with the following committee: Chairperson Ena Jordan, Vice-Chairperson: Finian Dillon, Sec. : Teresa Butler, Treasurers: Philip James and Mary Maher & P.R.O. Gretta Roberts and clean-up rotas were organised once a week. Floral Pride took over somewhat in 2007 and the village looked wonderful and won the Endeavour Award and €1000 in the National Tidy Towns competition but, sadly, it is still a long way from the glory years when it had a decade of Co. titles. With new developments taking place at present the village is said to be in a ‘transitional period’ but its future in Tidy Towns is considered to be very promising. To commemorate 50 years of Tidy Towns, Supervalu, the current sponsors, issued specially commissioned certificates to a small number of people in recognition of the hard work, commitment and dedication they had given to their community and for their active and practical support of the ideals and standards of the Tidy Towns initiative. Fr. 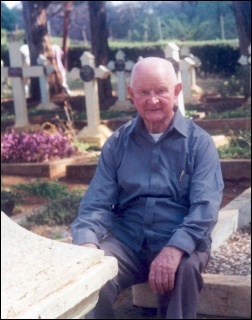 John Hayden was the proud recipient of one such certificate having been nominated by Myshall Muintir Na Tíre for the award.